Home GENERAL NEWS SPORT AFRICAN FOOTBALL IS A SPOOKY BUSINESS! AFRICAN FOOTBALL IS A SPOOKY BUSINESS! My dearest readers … “If he is right and I am afraid of failure it is because I didn’t fail many times. He is a specialist in failure,” That’s what the ‘Special One’, Jose Mourinho thinks of Arsenal Manager, Arsene Wenger, who has not won a trophy in eight years now. One wonders what Mourinho would make of Swazi soccer in general after our best team in the last decade, Mbabane Swallows, threw away a 2-0 first leg tie lead – and 3-0 lead to be precise, having scored first in the second leg tie in the sixth minute – to end up losing 5-2 and 5-4 on aggregate to Zambia’s Nkana FC? The ‘Special One’ would probably have said some of the goals scored by Nkana FC came from Mars. Heek, heek, heek, heek, heek, heek, heek, heek! But this is no laughing matter. 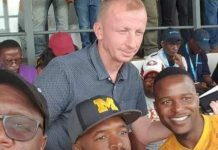 Our man in Zambia, the larger-than-life Dumisani Ntiwane’s report of the game, gave an indication that a combination of poor officiating from the Botswana match officials, muddy pitch and intimidating home crowd made life a living hell for the country’s envoys. It was a typical African football spooky business. In this neck of the woods you do expect such conditions and it is always better to be spooky than being spooked. Here you take the bitter with the sweet and you have to develop a rhino skin. Screaming like a toddler will not change anything. 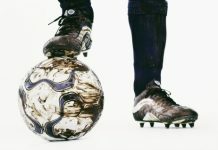 It’s business as usual in the vanguard of African football where bribery, match-fixing, age-cheating in youth tournaments and general corruption has long manifested itself. If you are Swaziland and expecting a backdoor entrance in the Guinness Book of World records as the ‘most obedient football country’, then you are in the wrong business and tournament. 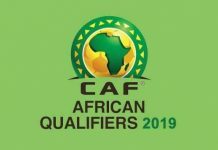 This is what we have come to expect in this prestigious but expensive to play in CAF Champions League and it was another bitter lesson for Swallows, who despite taking an early lead saw two goals scored from a suspicious off-side position and a highly disputable penalty. I was not in Kitwe to make my own assessment but I have seen some horrendous refereeing in this tournament. I know too how difficult it is to win away matches, in particular the treatment and harsh conditions faced by a visiting team. It is unfortunate that the game was not shown on television and worse still, Swazi TV sports journalist, John Molelekeng, who was part of the 60 fans who inspite of being warned several times not to leave on Thursday, failed to arrive in time for the game for us to have a view of the footage and make our own assessment. 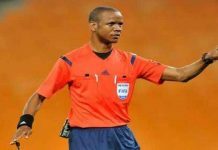 Swallows’ episode, in many ways, reminded me of the dubious refereeing we saw when the mighty Orlando Pirates faced Democratic Republic of Congo’s TP Mazembe in Lubumbashi where the home team got some ‘home decisions’ – two dubious penalties bravely saved by goalkeeper Senzo Meyiwa. The second penalty awarded after another harsh decision by the referee who had earlier sent off captain Lucky Lekgwathi was just laughable as there was no infringement and even if there was, it happened outside the box. But a penalty was given. Thank God, the mighty Buccaneers held on to get a credible draw and advanced to the next stage. It is now history that they went on to reach the final and lost to Africa’s best team, Al Ahly of Egypt. I am still proud of them. After-all they do not say ‘Once and always’, for nothing! 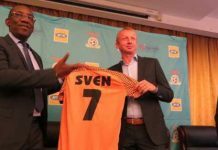 The poor refereeing notwithstanding, there are lot of lessons to be learnt from the Swallows defeat and failure to go beyond the preliminary round for the second successive time to a Zambian team. 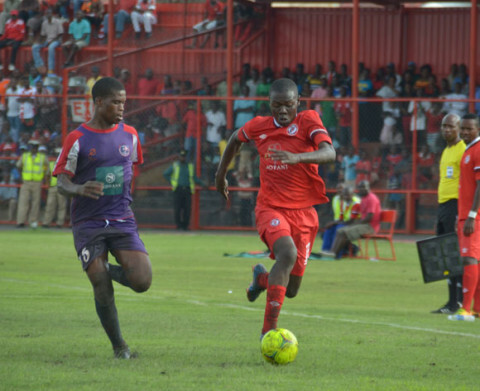 Many commentators had said in unison that the ‘Birds’ failure to pummel their opponents, Nkana FC, under an avalanche of goals in the first leg tie would come back to bite them where it hurts the most and you-know-where. Swallows had an opportunity to easily romp to a 4-0 win but spurned two gilt-edged chances and now they have paid the price. Again, let’s all recall that poor as the Zambian side, Nkana FC, might have been in the first leg tie, they still created three goal scoring chances in the first half which were brilliantly saved by goalkeeper Jim Knowledge. If Swallows had conceded one or two goals, the whole complexion of the game would have changed. Same thing happened at national team level, when Sihlangu on that memorable and unforgettable Sunday of June 8 2008 beat Togo 2-0. Togolese striker, Emmanuel Adebayor who is scoring goals like nobody’s business in the English premiership for London side, Tottenham Hotspurs, found himself in a one-on-one situation with the then Sihlangu number one, Njabuliso Simelane, four times and on all four occasions the Sihlangu shot-stopper pulled off miraculous saves. He was no doubt named a deserved ‘man of the match’. In the second leg, played in a neutral venue in Ghana, Adebayor broke free four times and he scored in all four instances. Sihlangu were butchered 6-0. After the untold scenes of jubilation, we fell back into sadness and mediocrity. The same thing has visited the ‘Birds’ nest. This column had warned last week that there was unfinished business in Kitwe and the ‘Birds’ should keep their eye on the ball. This, in many ways, the poor officiating notwithstanding, proves we still have a long way to go as a football country. Again, it also reflects that our league is not as high in terms of standard as we would like to believe. There are other factors of course that the Zambian teams, in particular, have huge sponsorships backing them. While our teams have to literally go cap-in-hand each time they participate in such tournaments, in other countries the government literally takes over and supports the teams in every way. 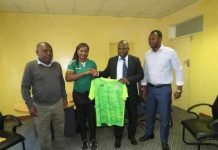 Nkana FC, for instance, had the backing of government for the second leg – and the presence of the Minister of Sports Clushimba Kambwili who went on to pledge a sum of E10 000 to each player shows how serious other nations take football. We are not even talking about a national team here – just a privately owned football club. Without putting much pressure on our energetic Minister of Sports, Culture and Youth Affairs, David ‘Cruiser’ Ngcamphalala, one hopes he can see how other nations treat their teams, football and sports in general. He has an unenviable task of twisting government’s hand and attitude towards sports. In the end, we can look back and say Swallows let themselves down by failing to take advantage of a 2-0 first leg tie lead but the truth and reality is that our best is just not good enough on the international stage and there are lots of factors which contribute to this malaise. It is Swallows today; it would be another team tomorrow. We need to find solutions to this vicious cycle. Otherwise, as things stand, we are, in Jose Mourinho’s words, “specialists in failure” … That’s the cold, sobering truth.